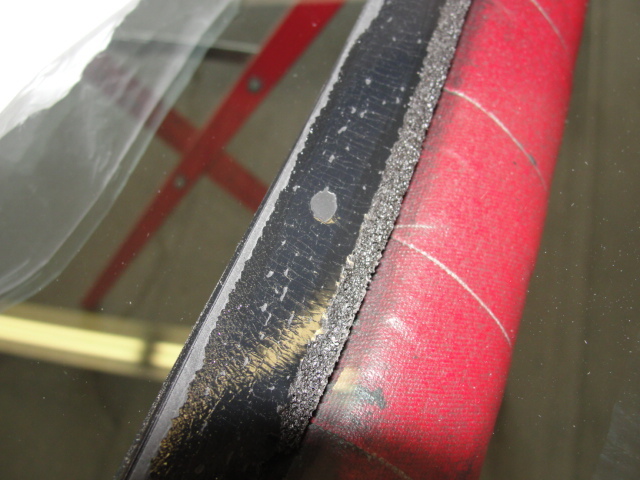 glassBYTEs recently posted a request for information on induction tools for glass removal. I thought I would throw in my two cents. I plan to address this by first explaining how the tools are supposed to work and then some observations I have had over the years of using the tool. Basically, an induction tool uses an electromagnetic field to gyrate metal molecules to create heat. It works by heating the metal to a temperature that allows the separation of the paint coatings from the primer coat. The primer coat has a higher tensile strength than the paint so the paint layers will separate faster from the primer coat. Any metal in, on or touching the glass unit will heat to temperatures that can melt, burn or deform attached moldings. The glass itself and vinyl moldings will stay cool, but any substances that touch the metal can be damaged unless steps are taken to cool or remove the parts. So, is it safe to use on auto glass removal? There is a debate for and against induction and I want to give you my thoughts and open it up for discussion. Induction tools may not be the best choice for all glass parts on a vehicle. I have tried using induction tools on windshields and other laminated parts. In my opinion, the time and effort expended was not worth it. 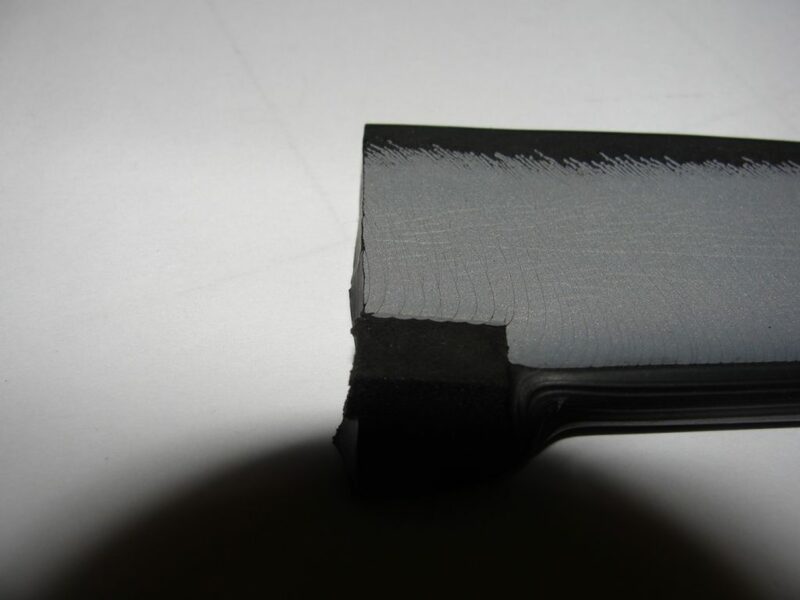 In addition, the chance of breaking the laminated part is increased because greater pressure is applied to the glass and that can cause fracture. I also have safety concerns about the high temperatures applied to the windshield pinchweld. However, I feel that using the induction on quarter or back glasses or stationary vents bonded to steel pinchwelds are not as much of a safety concern as the windshield area. You can add much more pressure on tempered glass than laminated and you can separate the glass from the body well before the metal is weakened or damaged. I recommend two people, one to run the electromagnet around the glass part’s perimeter and one on the inside applying pressure. The interior garnish moldings and other parts that touch the pinchweld area must be removed from the vehicle and set aside. If the glass parts have antennas or any electrical systems attached to it, find another way of removing the part. I would not recommend induction for removal. If the vehicle has an aluminum body, I would also find another way of removing the glass. Make sure to remove any jewelry or metal from your hands while using the tool. A ring, for example, could burn your skin and cause injury. While running the electromagnet around the perimeter, have the helper apply pressure in one of the dull corners of the part using the flat of a gloved hand. Sprinkle the perimeter with water while running the tool. This cools the surrounding moldings and paint. Once the corner separates from the metal, run the tool and have the interior pressure match the tool’s movement. This should separate the glass from the body leaving the primer coat intact on the body and the paint and clear coat still adhered to the urethane bead on the glass. Usually the reason you would use an induction tool is for salvaging the glass part for reuse after body work is completed. One of the complaints with the induction tool is that if not used correctly, it can burn the paint or melt the moldings where you don’t want it burnt or melted. This is a possibility, and the customer should be made aware of this eventuality. However, if you use the sprinkling of water while using the tool, the chances of this is reduced and possibly eliminated. If we look at the bonding chain of glass adhered to paint; we have to understand that aftermarket paint jobs can never replicate the OE paint job in terms of strength. It is impossible to bake the paint to the metal at the temperatures the OE can achieve. The OE has nothing but a frame to bake but the collision center has the vehicle almost completely together with plastic, fabric and other flammables. It can only take so much heat. Now to the question of safety, the total bond is only as strong as the weakest link in the bonding chain. If the weakest link is the aftermarket paint job, then any failure would occur at that point. Remember that you should be bonding to the primer coat and not to the color coat because the primer has a higher tensile strength than the color. If you refrain from using the induction system in the windshield area and only use it on side or back parts, the chance of injury due to the use of the induction removal is slight. Does it work? Yes. Does it cause damage to paint or other parts touching the metal? It can if precautions are not taken. Does it damage the pinchweld? I don’t know. That is a question that should be asked of a metal expert. Is the removal of an expensive glass part with an induction system worth the time, cost and energy of the collision customer? That question you will have to ask your customer. All right readers, what do you think? 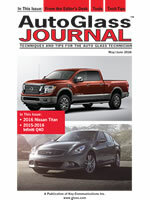 Is there a defect in the glass currently being manufactured for late model sunroofs? I recently received a call from a TV station that wanted my thoughts on a rash of sunroof breakages happening across the United States. My initial reaction was that I hadn’t noticed the increase in breakage. The telephone call stirred my interest however, so I decided to do a little research. It seems there has been an increase in breakage, mostly on 2011 and 2012 vehicles. Obviously, if that is the case, it was covered under warranty and most dealers will replace moveable glass themselves and not contract a glass shop for replacement, especially if the part is unique to a specific year, make and model. No wonder I didn’t see an increase. Some breakage occurs when the mechanism was engaged and others when the car was parked in a driveway. Why would there be an increase in breakage now? The more I thought about it, the more questions I had. Why haven’t the breaks been limited to a specific make of vehicle? Why did the break occur in numerous ways? Was the sunroof manufacturer the same on all the vehicles? Did the glass in these sunroof assemblies change in thickness or construction? I love this stuff. It’s like investigating a crime. I can’t answer these questions right now but I am currently researching the problem. However, be it known that there is a problem and you may be called upon to replace these units for those dealerships that don’t touch glass parts. If you are called upon, or even if you don’t like to do sunroofs, I would urge you to consider this replacement. The sunroof installations are relatively easy with a good profit. In most cases the steps are: remove screw panels, remove the screws, clean up, position the unit, replace the screws, replace the cover and collect the money, that simple. 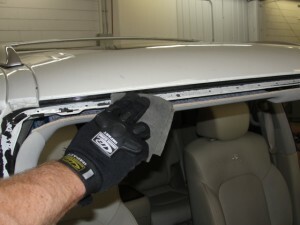 I may agree to refrain from doing aftermarket sunroof repairs because the all the variables but OE sunroofs are easy. I urge you to consider adding OE sunroof replacement to your repertoire. I will keep you informed of the progress made with this research and if any of you out there can help with the facts on this issue, I would appreciate your help. If you know anything about this sunroof issue, give me a call or post on this blog. My number is 800-695-5418. I recently replaced the windshield on a new Infiniti QX56 and I was able to peel the urethane away from the pinchweld with only my hands and no stripping tools. This is nothing new, but it is disconcerting. I remember the first paint delamination (PD) occurring in the mid 80’s just about the time lead was removed from the paints and the frits. It was a big deal then, and those of us in the aftermarket industry were very concerned with improper paint application, considering that the windshield was a safety device. The truth of the matter is that even today, not all new vehicles or models are crash tested. Even if a new model is tested, manufacturers will check only one in a series. The results are then recorded for review if the government requests it. As regulations go, this method of testing is not unusual. It is expensive to crash vehicles and it is not practical to crash every year, make and model of every color vehicle. Therefore we, as auto glass technicians, must recognize the problem and fix it to the best of our ability as professionals. What is paint delamination? How do we fix paint delamination? 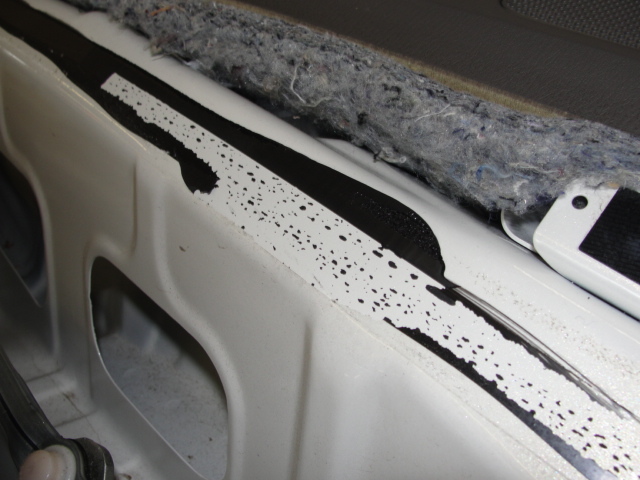 What is paint delamination? It is the separation of one coating from another. 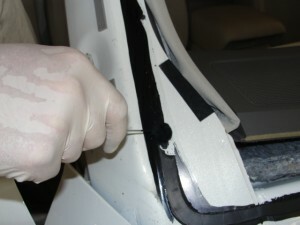 It can be the separation of the clear coat from the color coat that shows itself on the urethane bead as a glossy film. It can be the separation of the color coat from the primer coat that shows itself as the color of the vehicle coming off with the urethane bead. I have never seen the primer coat separating from the “E” coat nor the “E” coat from the bare metal but I have seen plenty of the other instances on many different years, makes, and models. Paint delamination does not always occur around the entire perimeter nor does it show itself only in a particular area of the pinchweld, though, there is usually a failure in the lower corners near the body seams. Manufacturers are reluctant to admit there is a problem so it falls to us to correct it the best way we can. 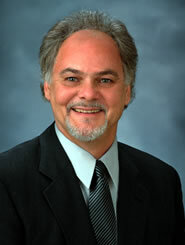 We must use the knowledge we have of the technology of adhesives and plain old common sense to apply a fix. Many years ago when this problem first showed up I noticed that one of my friend’s vehicles showed paint delamination. I asked him if I could do a test. He agreed, so I replaced the glass with my “PD fix” and then came back several weeks later to check out the results. What I found is that once I removed the glass and checked the urethane bead I noticed that the bead was strong and securely bonded to the area that failed before. The fix was stronger than the original, so I use this method of repair every time I see a “delam” on the pinchweld. How do we fix paint delamination? Here are the steps I take to correct the paint delamination I find. Lightly abrade the area with a plastic abrasive pad (Scotch-Brite™) or stainless steel wire brush. Do not go down to bare metal. The purpose of the abrasion is to create a larger bonding surface by causing grooves in the primer coat. Take a damp, not wet, clean lint free paper towel and wipe the area of any debris and dust created by the abrasion. Allow the area to dry thoroughly. Primer the area with a thick coating of pinchweld/metal primer and overlap onto any existing urethane by 1/8 to 1/4 inch. Do not puddle the primer. Make it thick and black. Allow the primer to dry the recommended time for adhesion. Apply the urethane bead as normal. I would love to hear from anyone out there that has another fix for this problem. Please respond or give me a call.